On the dawn of water-cooling, riders were looking for ways to control heat build-up in their air-cooled cylinders. The most successful idea was the DG Pro-Flow air scoop. It was a simple air scoop that attached under the gas tank and down over the fins of an air-cooled cylinder. At speed it increased air velocity through the fins by virtue of the Bernoulli Effect. The inventor was Jody Weisel. 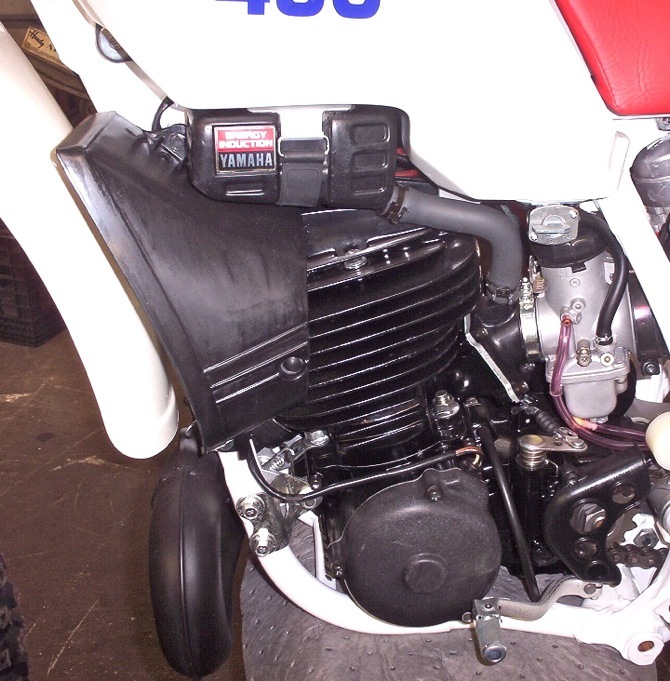 The top photo shows the Pro-Flow scoop mounted to an air-cooled 1980 Honda CR125. It may be hard to imagine, but 33 years ago all bikes were air-cooled. Eventually water-cooling eliminated the need for air scoops, although 500cc bikes stayed water-cooled for much longer than 125 or 250 two-strokes. 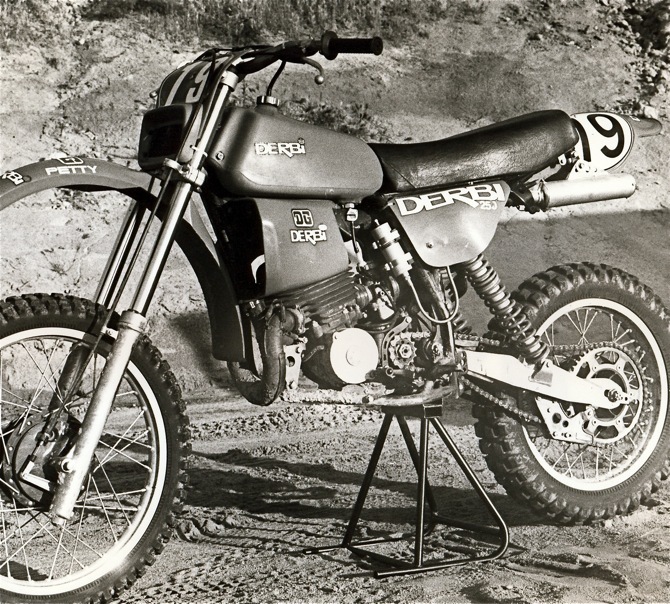 Although this bike says Derbi on it, it is actually a modified Suzuki RM250 with both a Pro-Flow scoop on the side of the engine and an air scoop front number plate. 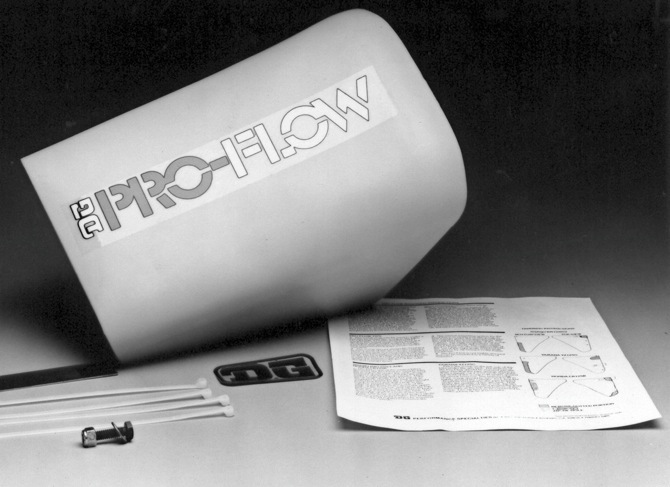 Honda and Yamaha both decided that the Pro-Flow scoop was a good enough idea to copy. 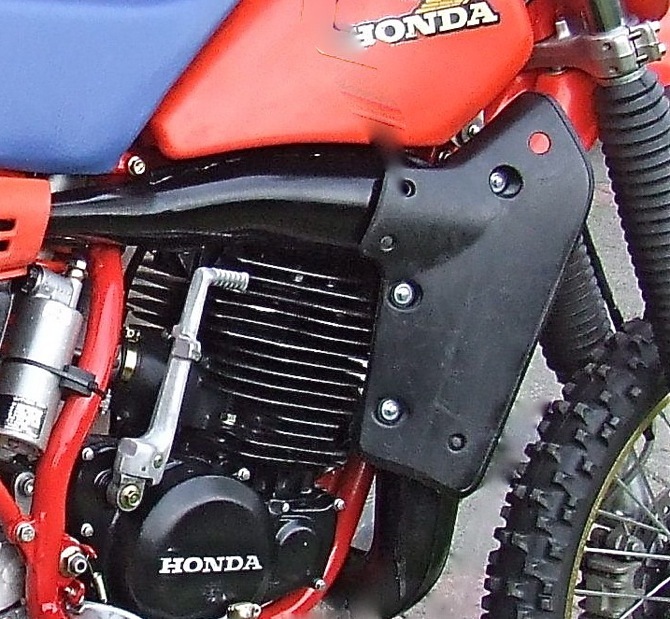 This is the production air scoop on the 1984 Honda CR500. The 1987 Yamaha YZ490 came off the showroom with a black plastic air scoop. We asked Jody if Honda and Yamaha paid him royalties for using his design. He just laughed and said, "The air scoop was just a last-ditch effort to cool bikes that were rapidly getting more powerful and generating more heat than the finning could control. As with most ideas, I wanted to do something for my own race bike and was happy that other people could use it also. Neither Honda nor Yamaha were going to stick with air-cooling for very long, so I took pride in the fact that they liked my idea." This article is part of Motocross Action Mag's series of Gyro Gearloose Inventions of the Day.